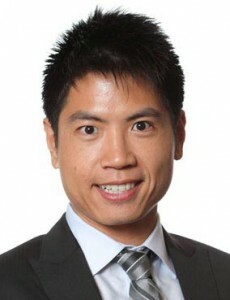 Tom Li graduated from the BHP in 2005 and has since lived all over the US and the world. From NBC Universal in London to investment banking in Hong Kong, Tom has been able to explore new industries and rise quickly in his positions. He is currently an Associate at Nomura International in their investment banking division, focused on the consumer and retail sector. He previously held positions with Liz Claiborne and NBC Universal/General Electric. You have been able to work in London, Barcelona, Hong Kong, Singapore and Mexico. What have you enjoyed most and found most challenging about working abroad? I have enjoyed immersing myself in different cultures the most. When working and living abroad, I like learning about the people and their history as well as understanding their perspectives and their point of views. The constant moving around has been difficult, having moved 10 times in the last decade both domestically in the US and internationally. It has been challenging to build a network of close colleagues and friends because you have to basically start again with every move. Being part of a program like BHP and attending a school like UT Austin helps. In most cities that I have lived, I have been able to reconnect with a friend from school or meet up with UT alumni living in those cities. You have worked in a variety of industries and a variety of roles. Were the moves you made intentional or did your career path just lead you in those directions? It was partly intentional and a lot of luck. I have usually set a general goal that I’d like to reach and worked towards it. Then, I encounter some twists and turns on the way. For example, I decided that I wanted to pursue a career in the film industry while in college and lucked into it getting involved with film shoots in Austin. I ended up interning on the movies Friday Night Lights and Idiocracy as well as with the Texas Film Commission. Those experiences gave me a slight advantage when interviewing with GE/NBC Universal for their Financial Management Leadership Program, which I found through the McCombs Career Center. With the move from entertainment to fashion, I worked well with the boss I had in London at NBCU. He moved to Liz Claiborne and asked if I would be interested in joining him, which I did. It was fascinating to learn about the fashion industry and to see the media/entertainment industry from another perspective as well as better understand why companies are willing to pay millions of dollars for a thirty-second ad spot on TV. After I got my MBA, I decided it would be good to obtain some investment banking experience to enhance that expertise in my skill set, so took a position with Nomura International in investment banking. Working at Nomura also allowed me to see and understand the difference between working for a non-US (Japanese) company versus an American company. In your role with Liz Claiborne you developed partnerships with Chinese companies. What was that process like and how different is the process when working with companies in other countries? The process was difficult. The company was trying to turn around the Liz Claiborne brand at the time, and most people were focused on the core domestic business. I was in charge of the longer-term strategy of the business to ensure its success in the future upon revitalization of the brand. One idea was to further expand Liz Claiborne’s presence in Asia. It was challenging to build partnerships in Asia because it was difficult to find the right partners, particularly in China. I reached out to some advisory firms that connected me with potential companies that could be the right fit as a partner in Asia. We invited those companies to our showrooms in New York City to take a look at the new brand concept and designs as well as to learn more about each other. It was important to pay attention to and respect the different cultures when dealing with people from other countries. I remember wanting to go beyond the surface level of understanding another’s culture, but did not find that to be very easy. I have concluded that is something you learn over time and with experience working with people from other cultures. Why did you choose to do your MBA at IESE in Barcelona? It is a great school in an amazing city. I also wanted to challenge myself and live in a country that has a completely different culture and language. Language skills help when you are working internationally. It is better to speak the local tongue if you can, even if you are not fluent in it. The act of trying to speak in another language demonstrates your respect for another culture, which I found is often appreciated. I also like being taken out of my comfort zone and wanted to live in a country where English wasn’t the national language and people took siestas. It was important for me to gain a less US-centric perspective of the world, having lived in the US a majority of my life at that point. The experience allowed me to understand an international perspective of the US as well as made me appreciate certain elements of our US society even more. An unexpected benefit is that now I have friends across the world, as only around 10% of the student population is from the US. Are there any deals you worked during your time doing M&A work that really stand out to you? My first one. When I was at NBC Universal working with Telemundo, we acquired a small Hispanic TV distribution company. It was my first M&A deal and was very interesting because it combined my passion for film/tv/media with my corporate finance education. It was the first time I felt truly challenged and used the finance and accounting knowledge that I had learned from UT. I was good at it, and it planted a seed in my head that I could do this in the future. I took intermediate accounting when I was at UT and that helped prepare me for this deal, although I remember that class being extremely difficult when I took it. Tell me more about the work you did at NBC Universal. Why did you decide to go to work for NBCU and GE after graduation? It was a dream job for me at that time. I was considering just moving out to Los Angeles to work in the film business upon graduation, but when I got the job I was excited because NBCU felt like a natural fit. I joined NBCU/GE’s Financial Management Leadership Program. They use the program to build the finance leadership pipeline at GE. It is a two-year program. You complete four, six-month rotations, and they send you on company-taught courses throughout those two years. For the first two years at NBCU, I worked in different finance roles in different businesses. I worked at CNBC, Telemundo, Universal Studios and NBC Universal Television Distribution. After the two years, they sent me abroad to London to work in the NBCU International business that was tasked with international expansion. The program set me up with a great network. It is kind of like a mini-MBA. You have had leadership roles with some great companies. What do you think has been the key to success in your own career? Finding a mentor is important. Working hard and intelligently is also vital for success. It is key to figure out how to do things quickly and efficiently and how to deliver what people are really looking for, not just what you are told to do. Spend some time to scope out what is needed before you start working. If you understand what needs to be done and what is expected, it will be easier to figure out who to go to for help and how to prioritize your workload and manage your schedule. I have been lucky to be given a lot of autonomy in my roles to have the ability to do this, and that has been very important to me. Do what you are passionate about and interested in. If you are really interested in something, you will be much better at it than if you did something thinking that is what you think you should do. Beyond earning a living and building a great career (in which BHP students will undoubtedly be successful), aspire to also make a positive contribution to society. This entry was posted in Alumni Spotlights, News and tagged Liz Claiborne, NBC Univeral, Nomura International, Texas BHP, Tom Li, UT McCombs School of Business. Bookmark the permalink.